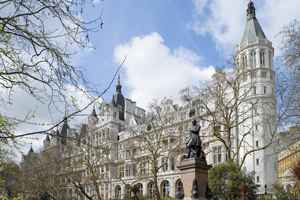 The Royal Horseguards is set to become part of the Preferred Hotel Group on 1 December. The five star hotel is Guoman Hotels' flagship property and will be one of only two London hotels in the Preferred Hotels & Resorts portfolio, alongside the Lanesborough. The Royal Horseguards undertook a multi-million pound investment since joining the Guoman Hotels collection in February. The Royal Horseguards general manager Jon Beecroft said: "We look forward to the hotel growing in reputation and stature through the additional sales, revenue and marketing support from the Preferred team." Preferred Hotel Group regional director UK and Ireland Chris Fradin said: "We are committed to selectively growing the collection in the London market place and we are extremely pleased to establish a long term partnership with The Royal Horseguard's team to develop corporate, leisure and group business." The property offers 281 rooms and event space for up to 70 delegates.